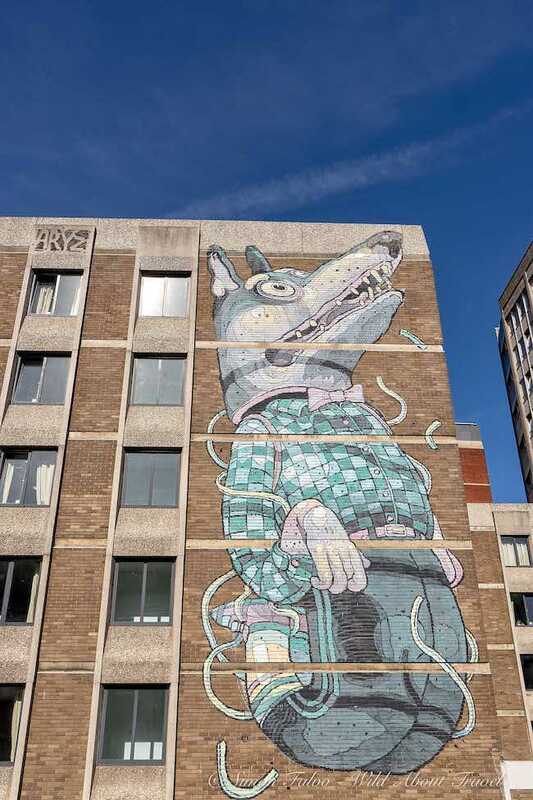 Whether you’re spending in Bristol a couple of days or only a few hours, maybe on the way to Bath, there’s one thing you shouldn’t miss: Bristol Street Art. 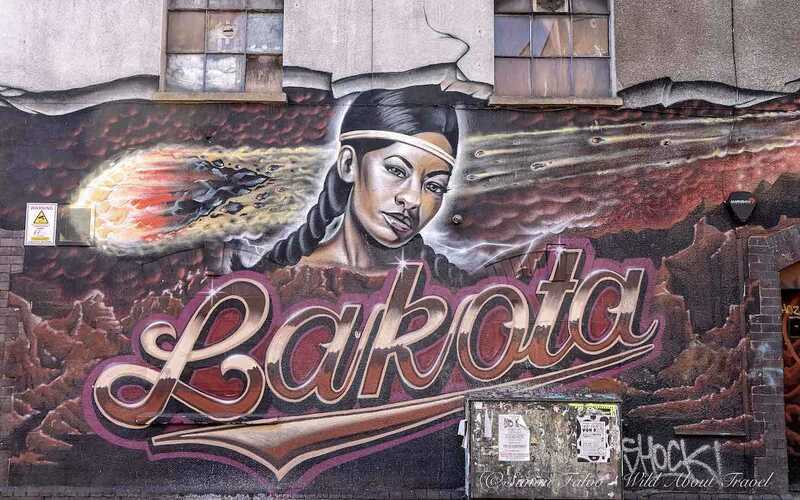 Street art and graffiti can tell a story about a city as much as historical landmarks. Only it’s not the story of monarchs, nobles, wealthy families or the Church. 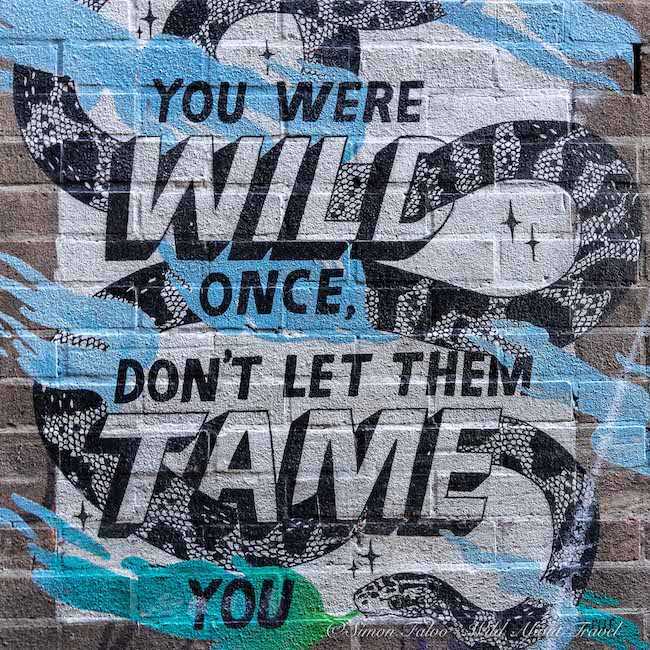 Street Art is created by “ordinary” people, often social outcasts or persons who for different reasons can’t fit in the context where they live and are in distress. The most talented become internationally recognised street artists. The majority draw graffiti as a mean to state their views, often expressing disease, protest, and irony. 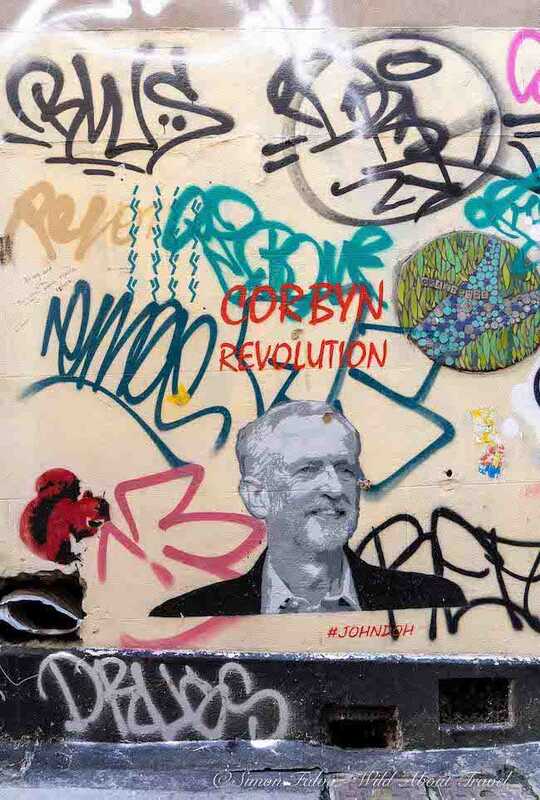 During my travels, I spotted some fantastic street art around the world. I saw some of the most beautiful and interesting examples of street art in Buenos Aires, especially at La Boca neighbourhood. 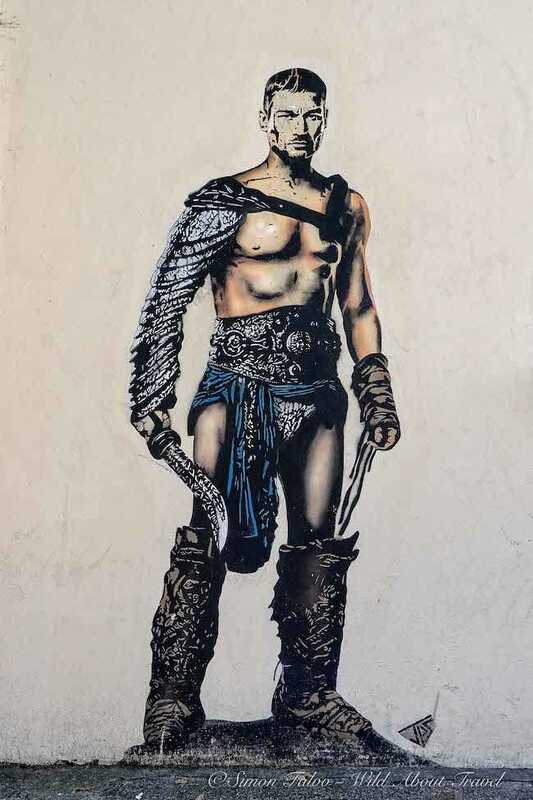 In Europe, graffiti and wall art are ubiquitous in Berlin: some are nothing more than writings, but there are many large scale paintings the are impressive. I also loved Hamburg Graffiti in St Pauli, the ones in Marseille, and found Brighton murals unexpectedly mind-blowing. 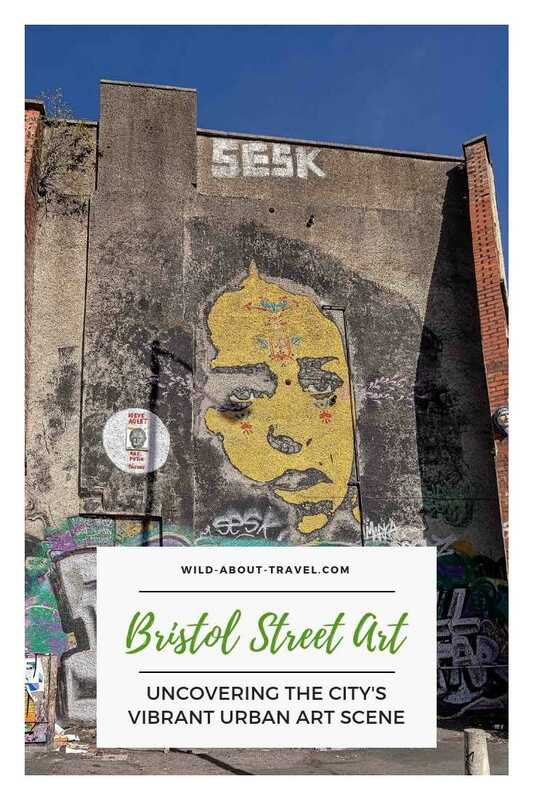 Street art in Bristol is such a popular attraction that you’ll find plenty of websites and booklets with information on where to spot the most interesting pieces. However, I highly recommend you having a street art tour, all the most if you’re only spending one day in Bristol. There’s indeed more than just seeing the best examples of urban art in Bristol. Our excellent guide told us a lot of exciting stories about techniques and the street artists, and led us through an itinerary I wouldn’t have been able to do on my own, especially with limited time. 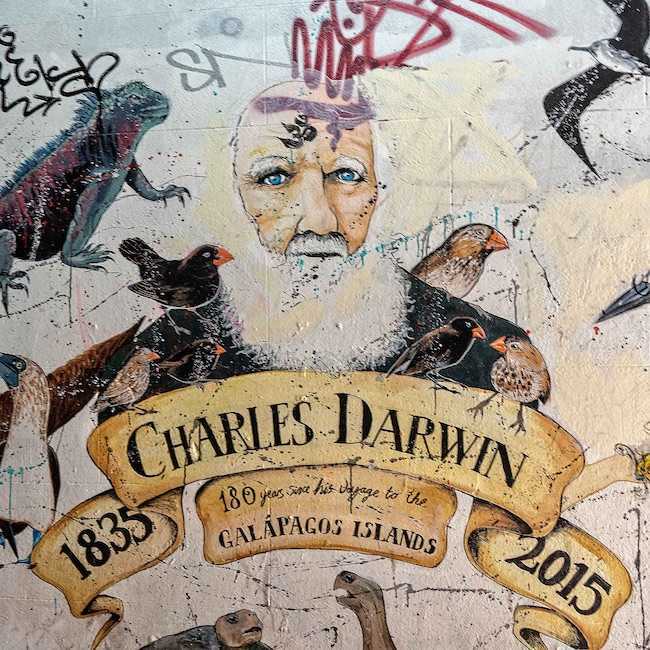 Walking along Nelson Street, you’ll see some of the most remarkable large murals, most of them covering entire facades of the buildings, painted by some of the best street artists. This large scale mural was one of my favourites. 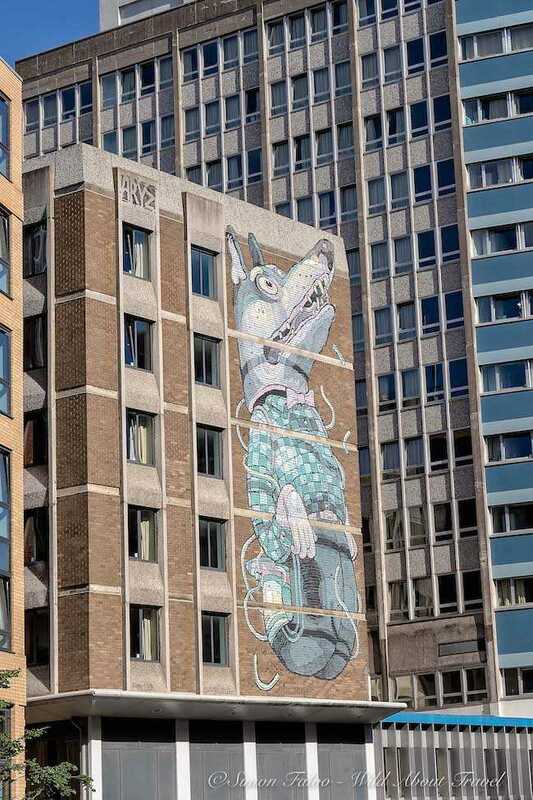 Painted by the young Spanish artist Aryz when invited to attend the See No Evil festival in Bristol, it covers the side of a 5-floors building. Aryz is said to have finished it in only… one and half day. 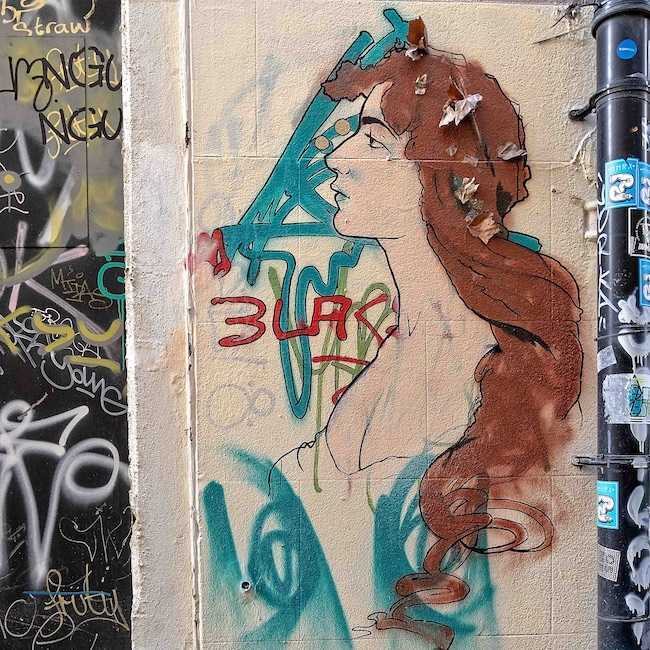 Can street art become a way to beat alcohol and drugs addiction? This is what happened to JPS, the acronym for the British street artist Jamie Paul Scanlon. In an interview, JPS explains how it all started in 2009 after he visited a Banksy exhibition. He went to rehab and began to study street art painting techniques. 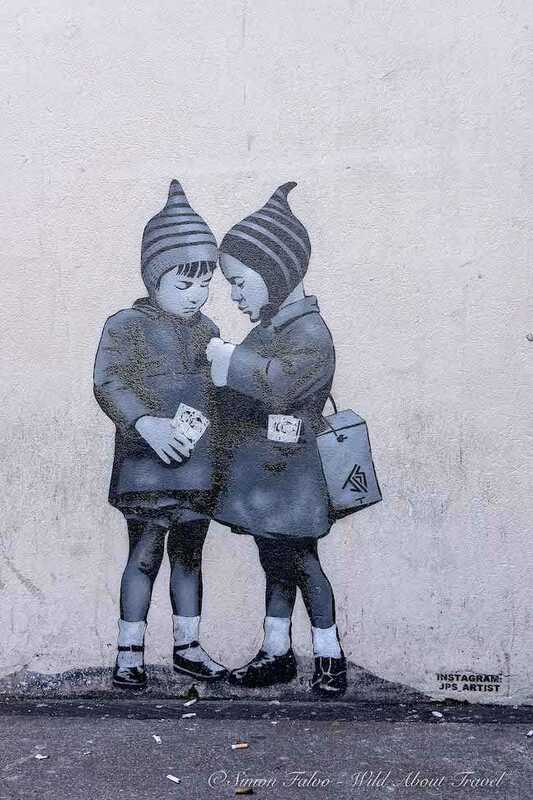 Banksy inspiration is visible in JPS works, although he developed a personal style and subjects. I love Harrington’s style, inspired by old masters and combined with contemporary elements, which makes his art quite unique. 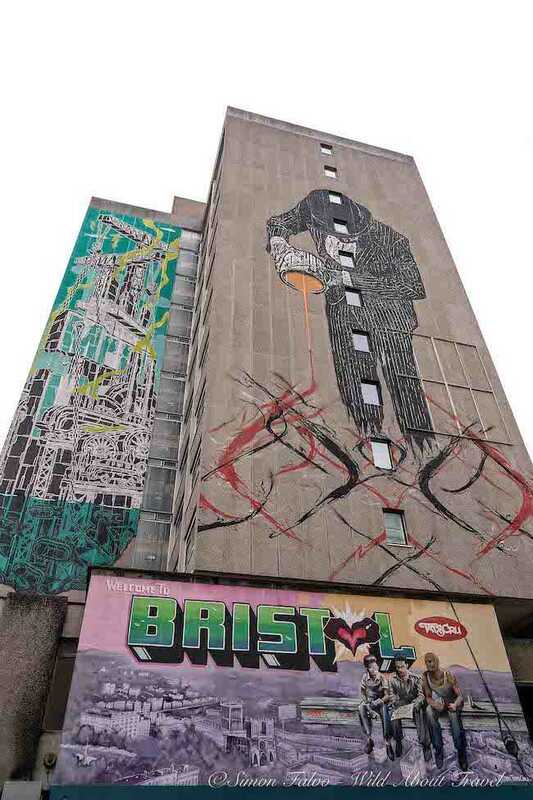 Harrington painted the large scale ‘Duel of Bristol’ during 2012 See No Evil Festival. If you visit Belfast, don’t miss the beautiful ‘The Duel of Belfast, Dance By Candlelight’ in the Cathedral Quarter. Another huge mural painted during the See No Evil Festival and one of the most beautiful pieces of street art in central Bristol. Born in Los Angeles and self-trained, El Mac has become a quoted street artist, getting commissions to paint murals all over the world. 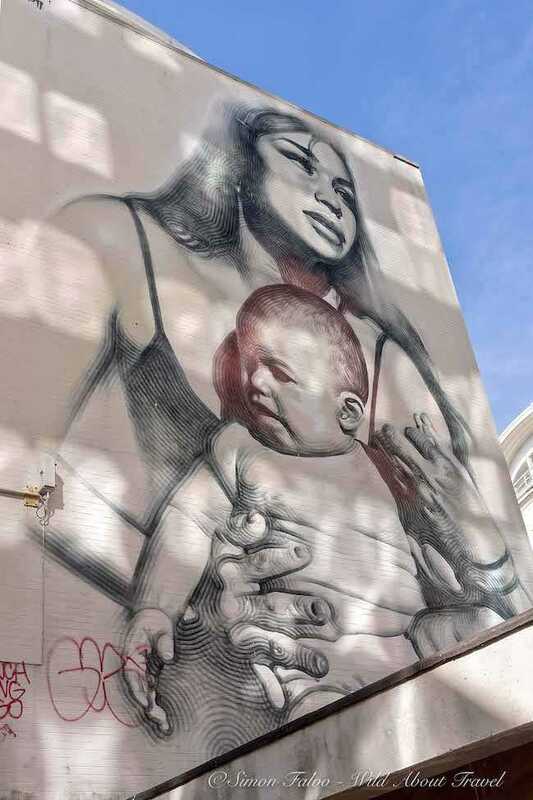 ‘Clothed with the Sun’ represents El Mac’s girlfriend holding a baby in his characteristic photorealistic style. 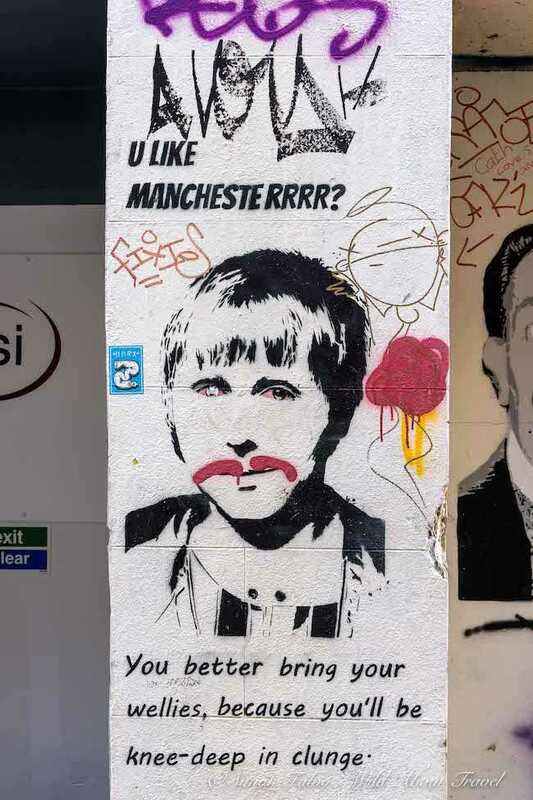 Bristol-born Nick Walker is known for his stencils and the irony and political messages of his paintings. 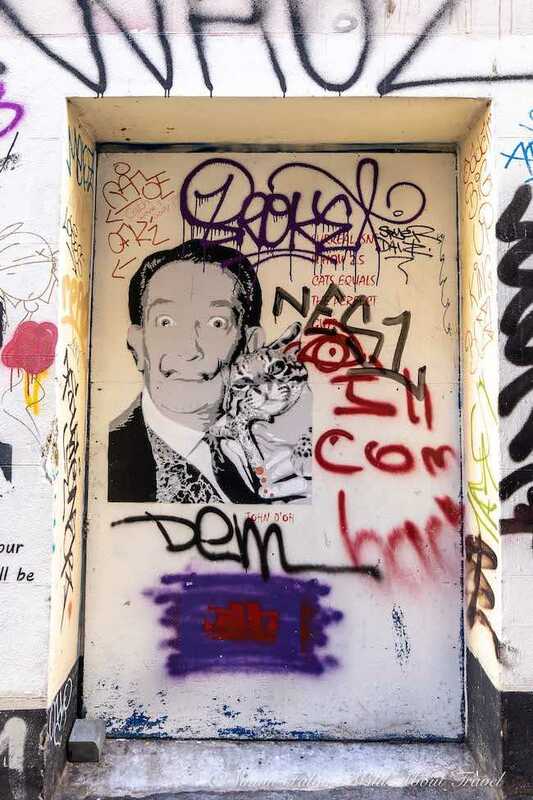 ‘The Vandal’ represents Walker’s view of the financial crisis, showing a banker-like character dropping paint, a subject the artist repeated, with variations, in other cities all over the world. Another mural created by Italian artist Pixel Pancho during See No Evil 2012. Robots and Sci-Fi creatures are what makes Pixel Pancho paintings unique and very easy to recognise. 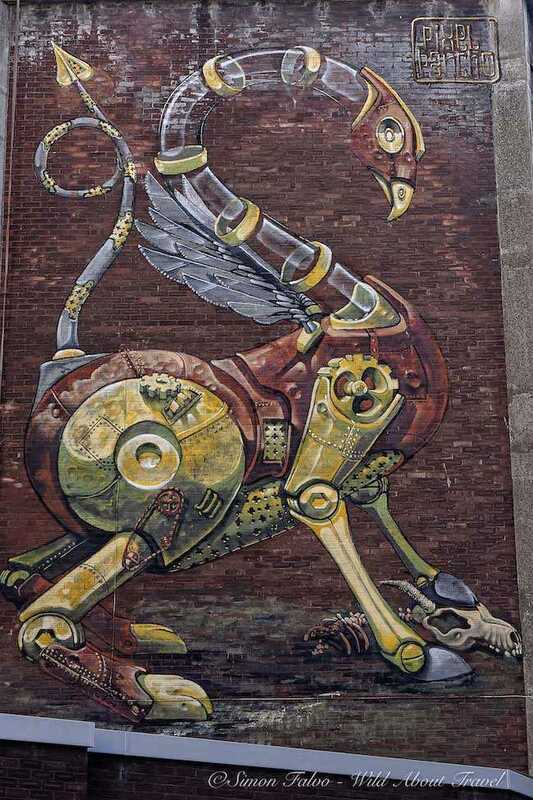 His mythological mechanical bird has become one of the landmarks in Bristol. I found this unicorn by local artists Feek and Paris very cool, both for the subject and the location, in a gallery of St. John on the Wall Church. You’ll see unicorns quite often around Bristol, as two of them were included in the city’s seal back in the 16th century. 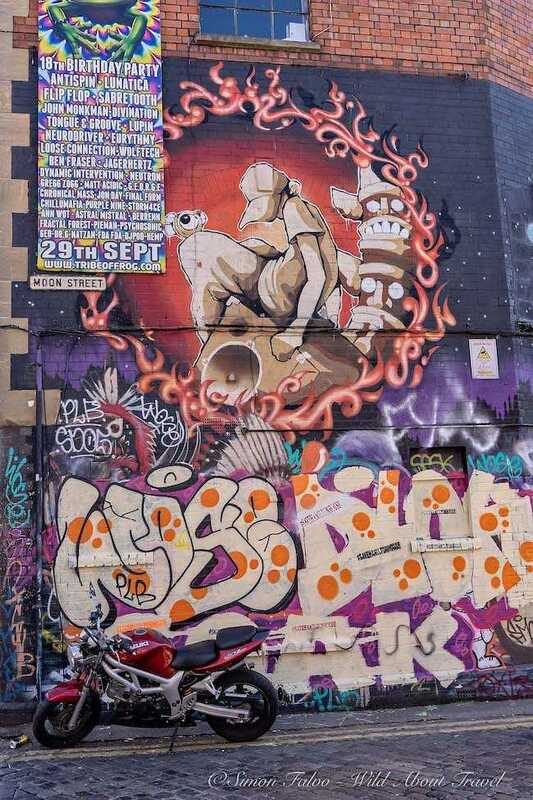 Unconventional and hipster, Stokes Croft is another Bristol street art and graffiti hot-spot. You’ll see an explosion of colors, cool cafes, and independent shops. And you’ll feel a unique vibe, mixing creativity with unconventional living, and an area of sharp contrasts, despite the gentrification. 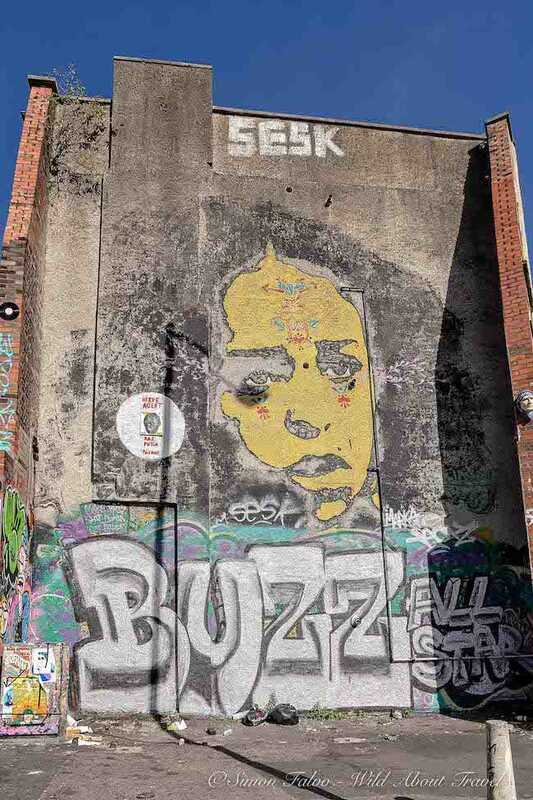 Walking along Stokes Croft and the adjacent streets you’ll spot large scale murals by internationally renowned artists and other paintings by lesser known or anonymous people which are nonetheless beautiful. 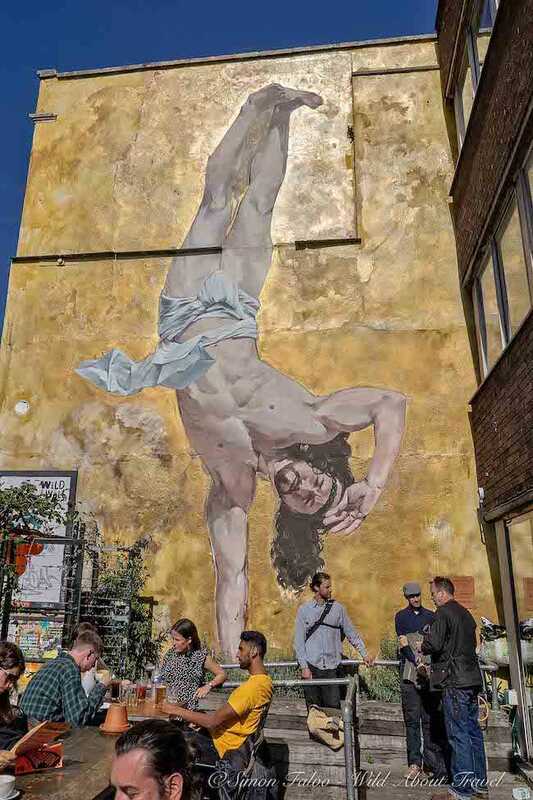 Painted in 2013 by British artist Cosmo Sarson, the giant ‘Breakdancing Jesus’ faces Banksy’s Mild Mild West at the Canteen, in Stokes Croft, and has become one of the most iconic murals in Bristol. Another of my favorite pieces of urban art in Bristol is this large-scale stencil portrait by Colombian artist Stinkfish. The mural features a person Stinkfish met in Amsterdam and was painted in only one day. 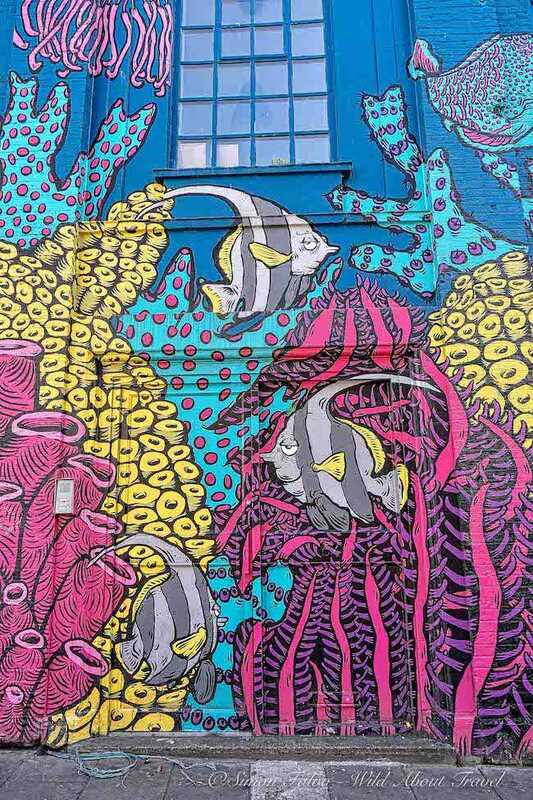 Here are some colorful murals spotted in the Stokes Croft area, mostly in Wilder street and Moon street. 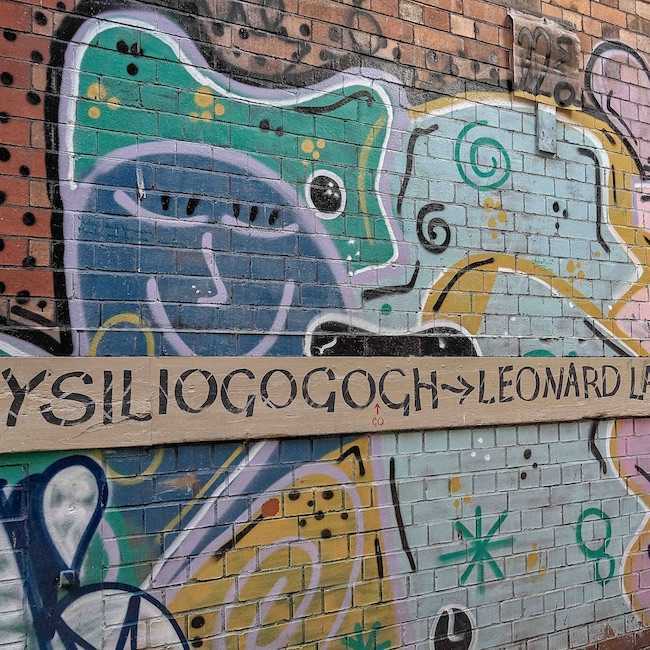 Once neglected, Leonard Lane was re-enlivened thanks to a project called Human Nature. Launched by artist Charlotte Webster, the Human Nature project is focused on the environment and our relationship to it. Leonard Lane reminded me a lot of Marseille street art in Cours Julien, and although I would talk about graffiti and tagging rather than street art, it indeed is an exciting project, and I liked some works. Street art in Bristol is ubiquitous and there’s a lot more to see. 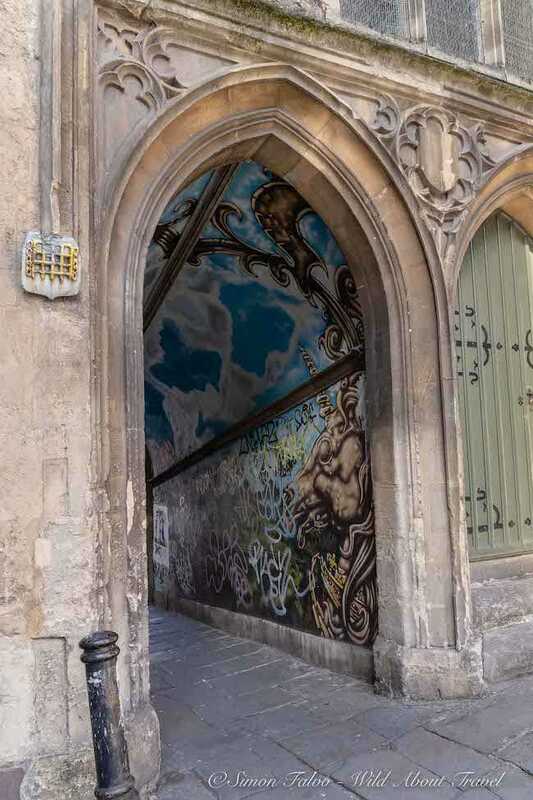 One day in Bristol, as an extension from a short break in Bath, is certainly not enough to explore one of the most lively urban art scenes in Europe. 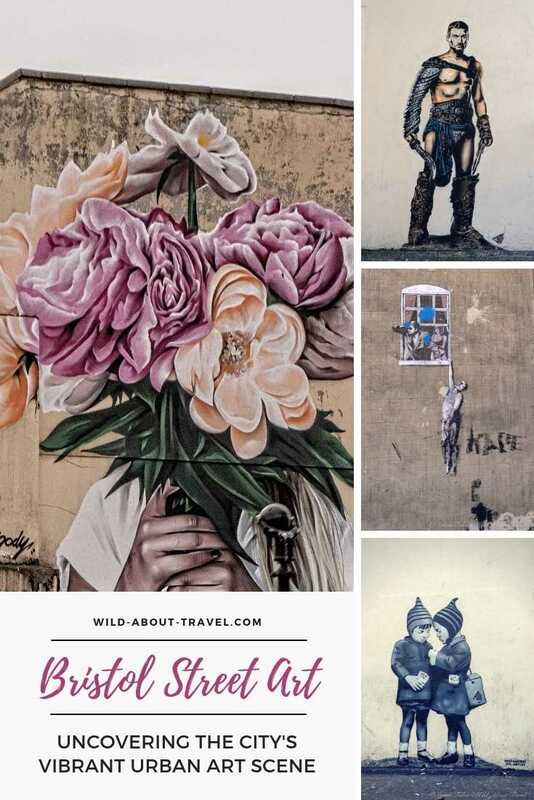 This award-winning company was the first to offer street art tours. 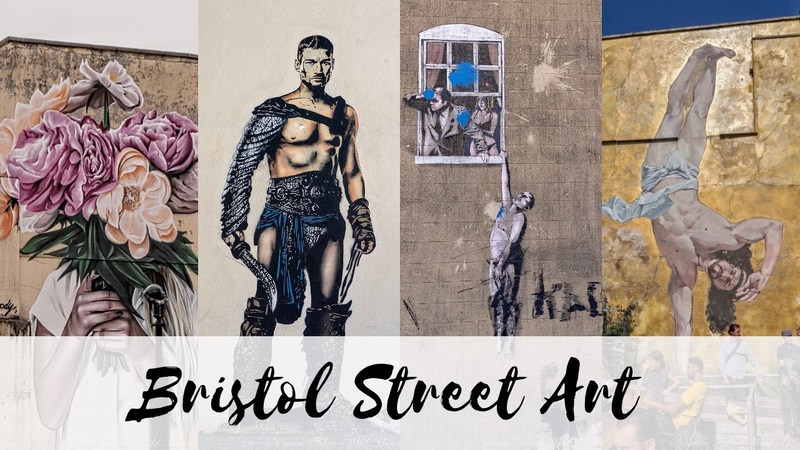 The Bristol Street Art Tour, running every Saturday and Sunday, leads you through over 30 years of street art history. The guides are very knowledgeable and provide insights into the leading artists and their work. The tour is a great experience. I only wish the group was a little smaller since it was at times difficult to follow the comments and history of Bristol street art scene. Where the Wall also runs a Banksy dedicated tour, but I recommend you take the original tour. 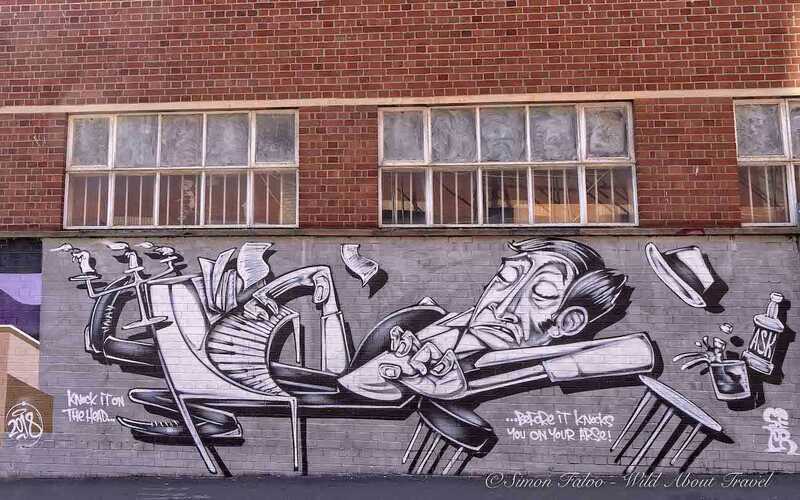 There’s a lot more than Banksy to Bristol, and some wall paintings are just amazing. Bristol airport has direct flights from/to several cities in the UK and Europe. I usually search on Skyscanner, CheapOair or Expedia to find the best deals. Have lunch at The Canteen, in the colorful and hipster neighborhood of Stokes Croft. 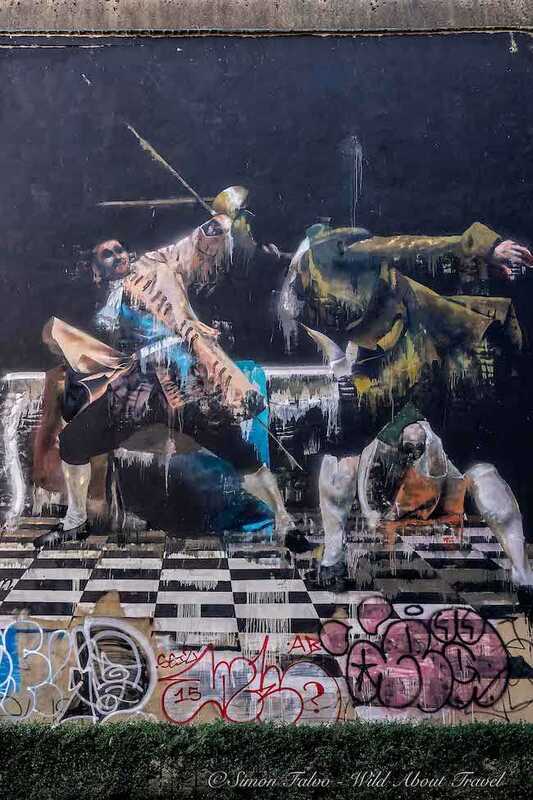 Two amazing pieces of street art surround this favorite cafè: Banksy’s “Mild, Mild West” on the right, and “Jesus Breakdance” by Cosmo Sarson on the opposite wall. ♦ Hotel du Vin Bristol is a boutique hotel not far from Clifton Village, featuring a pretty courtyard and a stylish bistro-style restaurant serving French cuisine. ♦ If you prefer to stay in an apartment, you’ll love the stylish Beech House. It’s very well located to visit Clifton Village and Bristol Center, and only a 20-min drive from the airport. ♦ Berkeley Square House is a lovely guest house close to the main Bristol attractions. The rooms are contemporary and cozy, with a touch of originality. ♦ N. 38 Clifton is a beautiful boutique hotel within walking distance to the most interesting Bristol sites. Set in an elegant Georgian house, the Hotel has modern and stylish rooms with all comforts. ♦ 3 Berkeley Square is a charming Bed & Breakfast very close to Bristol Cathedral and well located to explore the city. The rooms are all different and tastefully decorated. I was invited by Visit Britain, Visit Bath, and Visit Bristol to discover Bath and Bristol, two beautiful, albeit very different, cities. All opinions, as always, are my own.